The term 'pre-algebra' is self-explanatory - it's the topics students must understand before taking an algebra course. These topics are learned throughout elementary and middle school math. 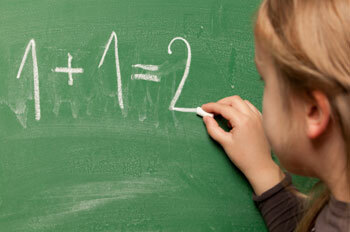 Some schools may even have a yearlong course in pre-algebra. Students who struggle with pre-algebra may also struggle with other math topics. The following approaches to help these students can be applied to a variety of math topics in addition to pre-algebra. Topics that are considered part of pre-algebra include number theory and basic algebraic expressions. In a pre-algebra class, students will likely learn to solve equations with one variable, like 10 = 5x. 1) Number Theory: Number theory refers to the different types of integers that students encounter in algebra as well as the rules for handling them. Below is a list of new concepts that are introduced. 2) Basic Algebra: Some categories of basic algebra are powers, radicals, polynomials as well as solving and graphing equations. Students will often struggle with math when the class moves on to the second step of a topic before they are competent with the first one. If you are helping a struggling student, start at the beginning, present only one step and be sure the student understands it and can apply it before going on to the second step. For example, be sure that the student realizes you can add 2a + 3a because they are like terms, but you can't add a^2 + a^3 because they aren't like terms. Once he or she understands this, then you can show how to multiply a^2 * a^3. a^2 * a^3 = (a * a) * (a * a * a) or a * a * a * a * a = a^5. Another example is drawing the process of multiplying fractions. To visually depict how to multiply 1/4 x 1/2, divide a square into quarters, or fourths, with vertical lines. Color in one of the sections, which represents 1/4. Then divide the square in half with a horizontal line. Show that half of the colored fourth is 1/8 of the square. You can then explain that if you had multiplied 1/4 x 1/2, you would have the same answer (1/8). As in the example above, (a^2 * a^3), have the students draw the rules in every problem until they know it. Repetition like this can help the student internalize the rule. From that point on, they can use the rule without illustrating it, but periodically have them draw it for you again. Even though students can use a rule without drawing it out, they should still show every step of solving a problem and be able to explain the rules they used. Even students who find math easy may overlook a step and come up with the wrong answer. Every student needs to always write down every step for solving a problem. That way, you know that they truly know how to solve it. Even after students are able to solve problems, games can be good review and can also make problem solving much more fun. 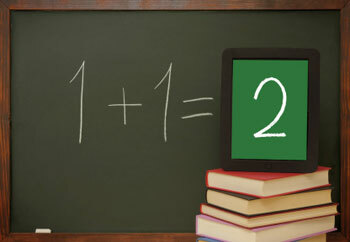 Therefore, if there is access to a computer, take advantage of the numerous interactive games on the Internet rather than simply using worksheets to practice pre-algebra skills. Some games that are specifically for pre-algebra practice may be found on YouTube (www.youtube.com). Alternatively, there's 'Operation Order' in the 'All Game' section of Funbrain (www.funbrain.com) and a pre-algebra section of Gamequarium (www.gamequarium.org).